Enid Mary Blyton, who was born on 11-08-1897 in Dulwich and died on 28-11-1968 in London, was one of the world’s greatest writers of children’s books and was very popular in Ireland. Both her father and grandfather were called Thomas Carey Blyton, the Carey being handed down from the Carys of Tiernaleague House, Carndonagh, now occupied by the Shorthall family. It was the custom among the gentry to retain a maternal relation in the family name. Enid’s great-great- grandmother was Mary Ann Cary, whose father was Mica Cary of Tiernaleague. (See earlier posts). He owned most of the lands around the town of Carndonagh. Mary Anne died in Ramelton in 1814. The full family tree is given below, with the help of a Dutch genealogist, Hanneke Young-Tammel. Going back further in the centuries, we find Enid is also related to the Youngs of Culdaff and the Hamiltons of Ramelton. The literary genes which run through this family are evident in the writings of the internationally acclaimed author, Joyce Cary, who died in 1957 and lived at Redcastle and Falmore house. (See “Joyce Carey Remembered” by Barbara Fisher for more local connections with this writer). 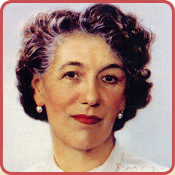 If you have any memories of Enid Blyton, feel free to add them to the messages on this site. Further news of famous writers with Inishowen connections will be added at a later date. The Blyton connection would be the basis for a great children’s book festival in the peninsula. She was a daughter of Thomas Carey Blyton, born 05-03-1870 Deptford, died 17-07-1920 Sunbury-on-Thimes. Enid’s mother was Theresa Mary Harrison, born 18-06-1874 Sheffield, died 1950 Maidstone. She was the daughter of Michael Handy born ca. 1796 Sligo, died 05-04-1862 Shoreditch London. She was the daughter of Dr. Charles Hamilton, born ca. 1764 Ramelton, died 6-10-1843 Ballyfatto co. Tyrone. Micah Cary, born ca. 1689, married first to Sarah Young, daughter of George Young and Elizabeth Mclaughlin,Micah’s mother was N.N. Rankin. Thristram’s, father was Edward Cary, born ca. 1650, died 04-06-1686, his mother was Sarah Beresford, daughter of Tristram Beresford and Sarah Sackville. Well, Sean, I always learn something interesting from your history of Donegal blog. Today’s is no exception, and I had no idea of Enid Blyton’s connections with Carndonagh and Inishowen. By coincidence, my wife, Joyce, and I had lunch with a couple of friends at the Stillorgan Park hotel in Dublin last Friday, and a couple of the next table overheard me referring to “The Famine Diary” book, published in 1992, that became a bestseller even before the famine commemorations had begun, and then through my own efforts and an intervention from my friend Jim Jackson of the French department and TCD, the facts were revealed about this work of fiction. But that’s another story. Anyway, the lady at the next table said that her husband David who was with her, and was beginning to feel the effects of the early onset of dementia, was a member of the Hamilton family of the book, “John Hamilton Of Donegal 1800-1884: This Recklessly Generous Landlord”. Perhaps they are the same Hamiltons as those related to Enid Blyton. You mentioned there’d be forthcoming news of other writers with an Inishowen connection. I just wondered what others think of John Toland, and are Inishowen people happy to acknowledge him as one of their own? Or perhaps, as one of the first people to be called a freethinker, there is no great desire on the part of some to celebrate his contribution to philosophical thought in the early years of the age of Enlightenment. All the famous five books and the “Island of adventure” and the “sea of adventure” were part of growing up in Culdaff House and are still here in the attic I expect! If we had known we were related we might have had them signed !! very interesting find. Great blog. Keep up the good work. I sincerely hope the Children’s Literary Festival becomes a reality. WE are now undertaking research on Honoria Galwey 1830-1925 a great song collector so watch this space. You say Thomas Carey Blyton Snr was born in 1840 and he married Mary Ann Hanly, a descendant of the Carys of Tiernaleague House, Carndonagh. So are you suggesting Thomas Carey Blyton Snr’s parents (who were from Nottinghamshire, England) knew the Cary family or knew that their son would marry a Cary descendant?